With this cleanser I find that you only really need about 2-3 pumps to cover the entire face. The thing to remember is to apply the cleansing oil to a DRY face rather than a wet one – you will need to emulsify the oil with water later! 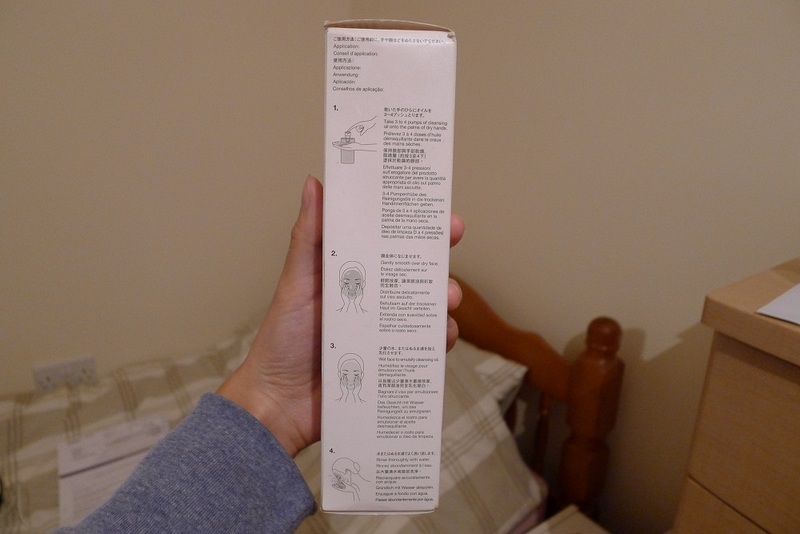 Once you have finished applying this, you then need to proceed to splash some water on your face to emulsify the oil. The shiny, oily liquid will transform into a milky white and soap like consistency. Continue to rub this all over your face then rinse thoroughly with warm water. Pat dry and finish with your usual skin care routine. In terms of quality I found that after using this Shu Uemura Oil Cleanser my skin is left feeling really soft and this does remove all traces of make up, just like the Philosophy Purity Facial Cleanser. As much as I enjoy using this cleanser, the price is slightly off putting. Cleansers are something that I use daily and £18.00 for 100ml to me is not quite enough. My first bottle lasted me probably 2 months at the most compared to my Philosophy Cleanser which can last me at least 4-5 and is less expensive (£17.50 for double the amount of cleanser to me is a more tempting deal). I am currently on my second bottle but I use it more sparingly these days compared to my Philosophy Cleanser. 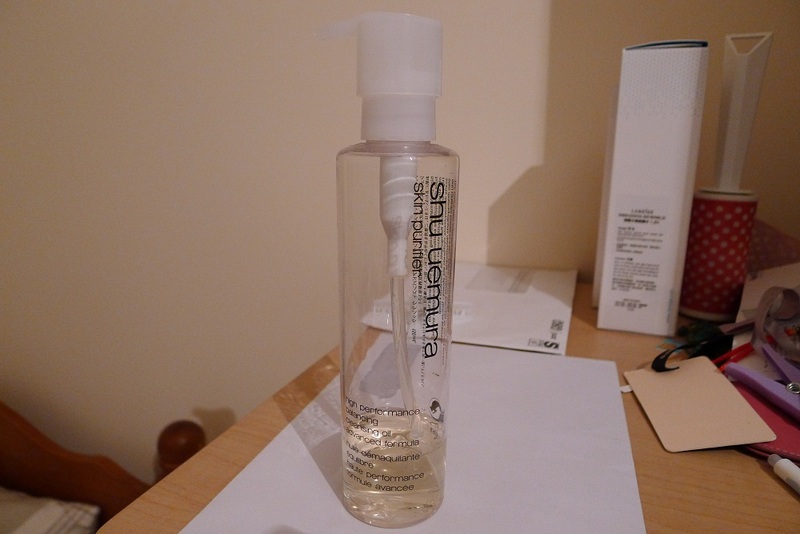 I tend to use my Shu Uemura Oil Cleanser when I want to pamper my skin and give it more of a nourishing cleanse. 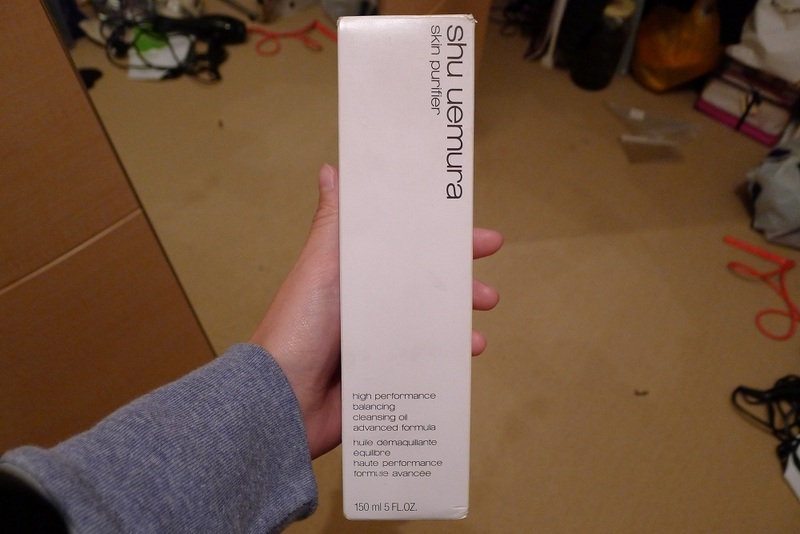 Hope you liked reading my Shu Uemura Oil Cleanser review, part 3 – my Laneige Foaming Cleanser review is still to come! Great reviews, looking forward to your next one!